This post was originally published at Panels, our sister site about all things comics! Check out more from them here. With the recent digital/Blu-Ray release of Star Wars: The Force Awakens, the teaser trailer of Rogue One, the debut of Poe Dameron #1, and the release dates of Bloodline and Life Debt quickly approaching, it’s an amazing time to be a Star Wars fan. But it’s easy to become overwhelmed by all the books and comics out there, so we’ve got a quick and dirty reading order guide if you want to dive in, but don’t know where to start. If you’re not sure where to start, the comics Star Wars and Darth Vader are a good bet. They take place between Episodes IV and V and work best as companion pieces. They’re not going to spoil anything for you and are just awesome stories. They’re ongoing comics, but the first couple of trades for both are out now. This Greg Rucka/Marco Chechetto comic series takes place directly after Return of the Jedi and sows the seeds for The Force Awakens. The Empire’s been defeated but not destroyed, and Luke is off on a secret mission—it’s just four issues, but packs a punch. The battles are worth every penny of this comic. This Chuck Wendig novel was all anyone could talk about after it was released because it really provided us our first look at the post-original trilogy Star Wars galaxy. It takes place about seven months after Return of the Jedi, before the Battle of Jakku. Quite possibly the best novel to come out of the Star Wars new Expanded Universe, this story of two star-crossed lovers, by Claudia Gray, is just incredible. It begins with the birth of the Empire, and covers the gap between Revenge of the Sith and A New Hope, and continues through the original trilogy, ending with the Battle of Jakku. You probably can switch this with Aftermath in the reading order, but the end of Aftermath hints so heavily that a battle is coming that it’s worth keeping this one in the wings. There’s not a lot out there about the specifics of Life Debt, Chuck Wendig’s sequel to Aftermath, but it seems as though there are hints scattered in a scene between Han and Chewie in that first book (along with the title of this novel). Because it’s a direct sequel to Aftermath, it makes sense that it would slot in here. It’s out July 19, 2016. 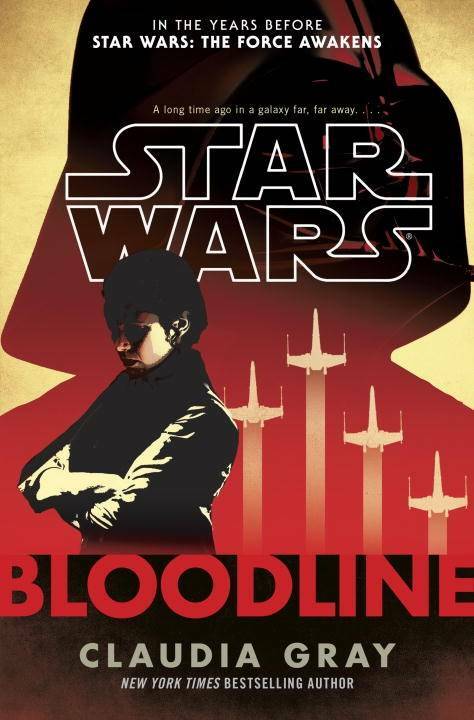 This novel by Greg Rucka takes place right before The Force Awakens. Rey and Finn’s stories are adorable, but Poe’s story specifically leads directly into the comic Poe Dameron #1 (which is next on the list). You can absolutely understand Poe Dameron without reading this story, but you’ll lose something if you want to read both this and the comic, and you read the comic first. Charles Soule and Phil Noto’s series, about Poe’s search for Lor San Tekka, the man with the map to Luke Skywalker, is just one issue in, but it’s already earned rave reviews. This is another ongoing series, so settle in for the long haul, but it promises to be good. Did I miss one of your favorite new canon stories? Question about where a book/comic I didn’t mention fits in? Tell us in the comments!